Halloween may be over, but some online casinos are so enamored by the scary festivities that they are drawing out the action a little while longer. Africasino online casino, a firm favorite among South African players, is celebrating the release of Felix Gaming’s new Halloween inspired online slot, It’s a Joker. The site is offering lots of goodies for players who try out this new game, especially extra credits to will extend your gaming sessions. If you want to take part in the promotion, head to AfriCasino until November 27th and check out ways to win. According to AfriCasino “sometimes a joke is funny and sometimes it can be scary”. This is how the new It’s a Joker slot game can be summed up. This is not your average ‘happy clown rewarding players’ type of game. It’s a Joker has a dark and scary side to it and will thrill through chills and goosebumps. Even the look of the Joker in the game has a dark look to him in this 3 x 3 game with 5 betways. 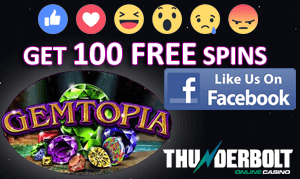 This game boasts lots of great features – besides its theme including free spins, instant play, wild symbols and scatter symbols. To introduce you to this new game, AfriCasino is offering 10% to players on any and all winnings when they play It’s a Joker during the promotion period. For every 100 spins that you play on the new slot game, AfriCasino will reward you with 10% extra. These extra credits will be added to your online casino balance. This is a great way to get to know the new game and to also increase your time playing it. “Play – win – and don’t be scared of the clown,” encourages AfriCasino. 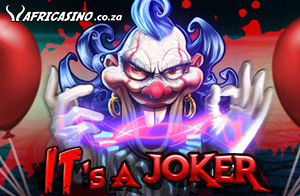 Like all online casino promotions, the It’s a Joker promotion comes with terms and conditions. • The promotion will run from now until Tuesday, November 27th, 2018. • The added 10% winnings will be added to your player balance after every 100 game spins. • All extra winnings will be issued to your player balance as cash and will be fully withdrawable. • Other terms and conditions may apply.